Well, we've made to March. High fives all around! Behind the scenes, we've been busy cranking our custom work of all sorts. Unfortunately, nothing sharable now, but I promise we're making some awesome stuff. Now is the time to get in those custom project requests! Have a nursery or kid's room that needs a custom name chalkboard or sign? A need to display your family's motto or last name in your family room? Need a sarcastic and/or hilarious saying engraved onto wall art for someone special or just for you? Shoot us a message and let's see if we can bring your ideas to life! We get pretty busy during the holidays and summer months because of shows. We feel bad that we have to turn awesome projects away during those times, so I thought I'd throw that idea out at you all. 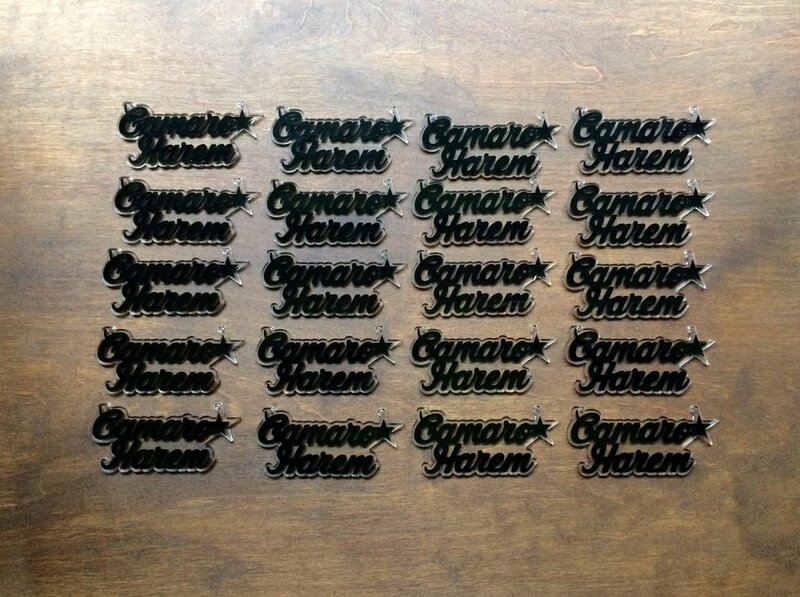 While we do have our own retail line, we also do a lot of small batch manufacturing for other companies. Small batch manufacturing is a cost effective way for companies to test their product out on the market. Especially handmade makers, where many of us have other employment commitments, makers that are just starting up or like us, makers that take pride in American made products. A great example of that is Pinoy Stitch's DIY Slide Tin Trinket Box and DIY Circle Pendants. Pinoy Stitch provided us with their vision and artwork and through a small testing process we created components for their products. Personally I am a needlework fan (junkie) so I've been excited about their product development and the end result of course! We're proud to produce components for such a great idea! To grab a DIY Slide Tin Trinket Box or DIY Circle Pendant for yourself please visit Pinoy Stitch! We recently had a request to make some family reunion keepsakes. They really wanted to have something simple and nice that their family members would actually use and display. Rather than just another t-shirt. 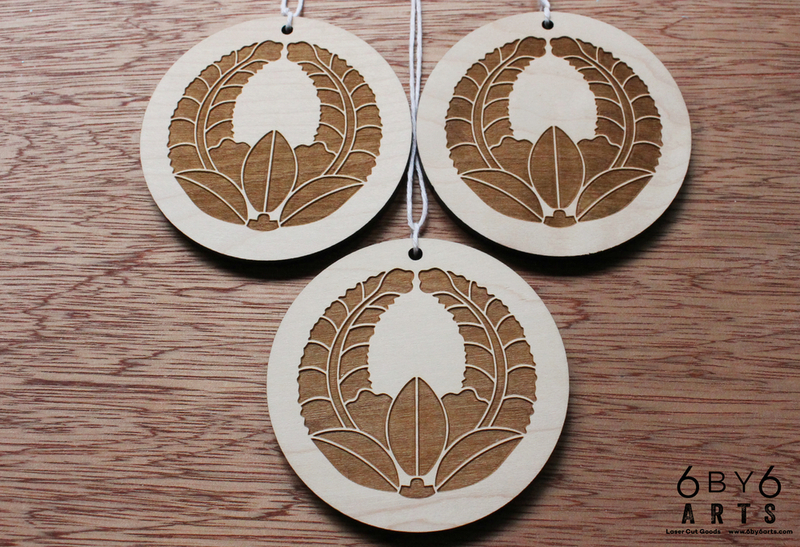 The asked us to engrave their family mon onto ornaments with a little commemorative message on the reverse side. Japanese mon are the equivalent of European's family coat of arms. An emblem to represent the family. Japanese mon have great clean lines and shapes. The designs translate so well when it's engraved. They turned out beautifully. What a great family reunion gift to give to an entire family! It was also a unique project for us. We do a lot of private label and manufacturing work as well as our retail line. It was fun to work with a family who wanted to present a thoughtful gift to their family. Last summer we vended at a show in San Francisco. We had the opportunity to not only vend to Californians in person (which was amazing!) but happen to meet a few buyers down there too. We had the great pleasure of being contacted by The Marine Mammal Center! 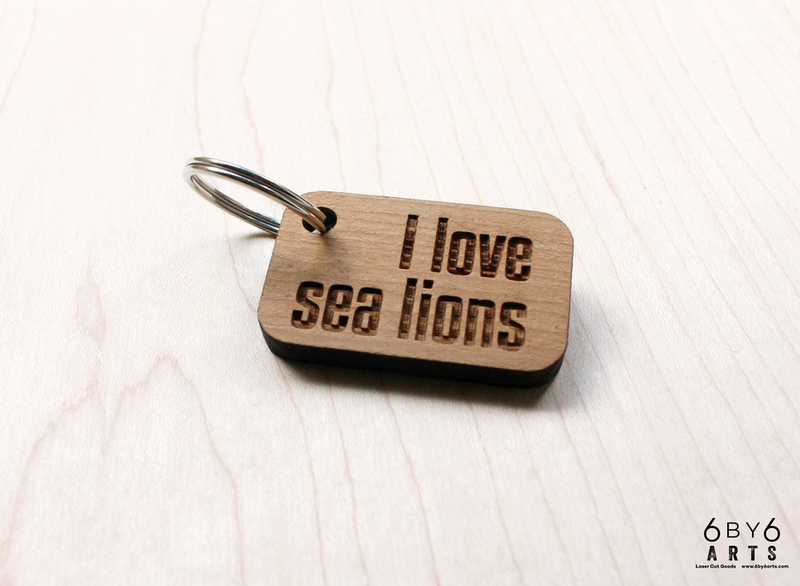 They expressed interest in our reclaimed wood keychains and hoped we could make company branded products for them. We happily accepted!!! I (Thea) grew up on an island in Puget Sound surrounded by sea life, including sea mammals so I had a personal vested interest in this project. I DO love the ocean!!!! They had simple requests and were fantastic people to work with! Laser cut and engraved reclaimed wood keychains and magnets. Great souvenirs for a place that is now on my list of things to do next time we are in California. If you happen to be making a trip through Sausalito be sure to stop in for a visit! First, I hate that I just quoted a Fergie song BUT it was a big song in the recent connotation of The Great Gatsby movie. It's hard to shake it. Gatsby represents the roaring 20's with art deco architecture and design splashed everywhere. It is a long time personal favorite era of mine. Gimme that, art deco design and patterns, loud music, gold on black accents, flapper dresses and lots of liquor. Sounds like the perfect theme for a wedding! We recently had the pleasure of creating a custom cake topper for such a themed wedding. The groom had readymade custom artwork of their own so this project was a breeze. Clean angles with their initials engraved in the center. We painted it a soft gold tone and coated it with food grade wood oil. A beautiful heirloom keepsake of their very special day. With that, I'll leave for now wishing you a wonderful weekend! When we first started our company, we went out into our actual backyard and picked branches and leaves up for inspiration. We love where we live and are greatly inspired by the natural beauty that surrounds us. We even had a series of native Pacific Northwest plants greeting cards. We have an abundance of various types of ferns in our yard and thought it would be fun to laser cut fern leaves. Nature really knows how to make some beautiful things! We typically don't do much with paper products and we had the opportunity to do a little paper cutting for a special project. They are delicate but beautiful just like the real ones. I just wanted to share that little fun project with you all since we were so impressed by how nice they turned out. 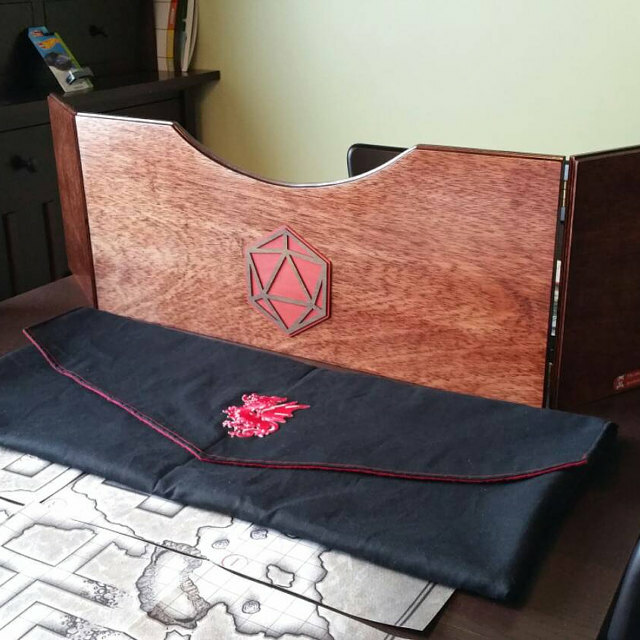 A custom two piece D20 (icosahedron) emblem we did for a DM screen our customer had. Photo courtesy from our customer. About a year ago when we first opened our internet doors to the world, I took the lead on ideas for products. I'm one of those people that has rushes of ideas. I am randomly spouting off "You know what would be cool..." to John while I'm totally incoherently yelling from the shower. While I enjoy that kind of thing (I used to be a full time accountant), I have a partner that is quite good with refining my ideas, but I want to make sure that he exercises his creative ideas too. He came up with Critical Hit and D&D dice ornaments. John, his sister Erin, Erin's husband and a close family friend "The DM", often played together before I stole him and he moved north to Washington. When you play D&D, you commit to a certain group of people. It's a like a tight gang. Unlike Magic or my beloved FF rpg games that I am personally more familiar with, where you build your decks or skills on your own. There's a shared bond between MTG players but D&D folks take it to the next level. Custom Critically Missed sign we did for a D&D group who had a member suddenly pass away. This will hang in their game room to remember him. We recently did the sign "Critically Missed" for someone who had a member of his D&D group pass away suddenly. I thought it was a sweet way to remember one of their own. We are in full holiday season mode but I just wanted to share how incredibly awesome the handful of players who have contacted us are. Whether it's been custom or readymade pieces the appreciation and love we've received has been so great. Thank you! Custom commemorative for Comedy Spot's 10th Anniversary 2015. Tina wanted a simple commemorative ornament for her Comedy Spot groups' 10th Anniversary. Something simple that highlighted the company's logo and anniversary. We selected USA sourced 1/8" alder wood. It engraves beautifully and emits that nice light wood burned aroma. You'd be surprised how many people stop to smell our products at shows. This was a welcome custom project amongst the wild ride of holiday orders. We're suckers for side projects. Retro Mechanical Labs (RML) from Portland, Oregon, is a long time client of John's. John has been laser engraving RML's distortion boxes for years now. They met through a series of events that are rooted with both being fans of Nine Inch Nails. RML was 6 by 6's first official client and is definitely one of our favorites. We've mentioned them before here on the blog and a few of their distortion box photos live in our gallery. We laser engrave blank powder coated distortion boxes and panels in various depths and widths. We remove any residue from the engraving process by hand. It can be a bit tedious but completely worth the delicate effort to show off the amazing retro industrial artwork of RML's designs. Powder coating has a distinctive look that I personally developed a love for growing up with a working auto body garage in my backyard. An overhead view of freshly engraved distortion boxes and panels for RML. Each distortion box is built by hand. They share a lot of their process on Instagram. Building boxes to drilling holes manually. 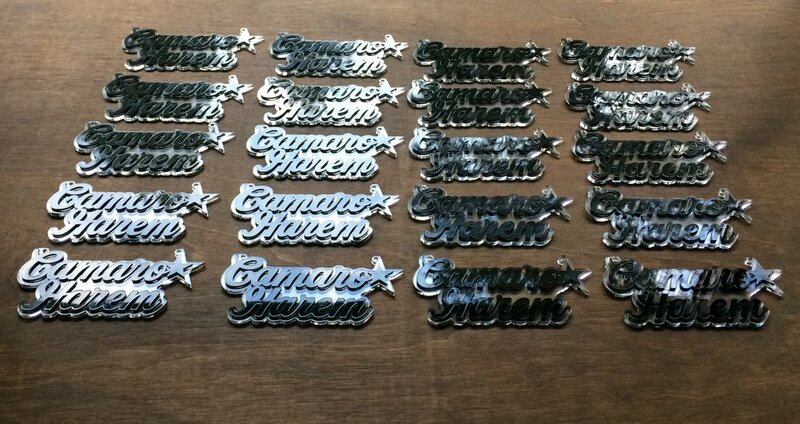 We wish we could do some custom metal cutting for them. That requires a plasma cutter, which is on our company wish list. We've visited the RML shop in Portland, Oregon a few times. They're always busy and have the most interesting vintage gages that find new lives in custom pieces that they create. An amazing process for amazing products. You can see the final products and demo clips on their site. Coming Soon From Our Friends At Bread And Badger! As I've mentioned before, one of the best side effects of being in the laser cutting business is doing work for friends! We're so excited to share a couple projects that we recently did for our friends at Bread and Badger!!! Bread and Badger's sandblasted mugs, glassware, jewelry and gifts - feature some really fun designs. Probably most notable is their "I like it here" state(s) design. I actually bought John a Washington State "I like it here" travel mug. He drove up from Oregon every weekend for a few months before we got engaged. As a couple, John and I have a shared love for their work. Also, the family behind the company are some pretty cool people. They've also been a part of the PNW maker scene for quite sometime. I've often vended at the same shows with them with my other business. Their brand is very familiar to me and my friends. I know at least 3 people with the narwhal glass. Because everyone needs a narwhal glass! I considered it a complete honor when Bread and Badger asked us to manufacture a couple new products for them! Pendants, ornaments and magnets! Featuring many of the their most popular designs. 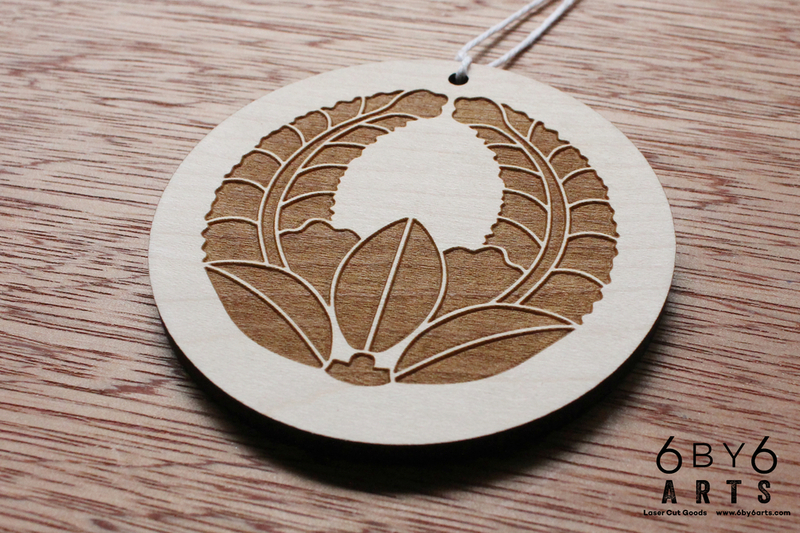 We laser cut and engraved their designs into this beautiful lightweight (fantastic smelling) USA alder wood. Be sure to keep your eyes peeled for their launch on their site. Also this is a great opportunity for me to remind everyone that while we can do engraving on glassware, we prefer not to. It's just not our area of expertise. We recommend Bread and Badger for your custom drink ware needs. They are top notch. We've been armpit deep in domestic and custom order life the past two weeks. Our fellow parents know it's the last days of school time of the year. Which are often hectic. This year we had a graduate of the Class of 2015 to add to our event list. Our entire family right after our oldest son's graduation commencement ceremony. We have a handful of exciting news tidbits coming up over the next few days, so stay tuned! It's no secret that we manufacture items for Ugly Baby Shower Art. 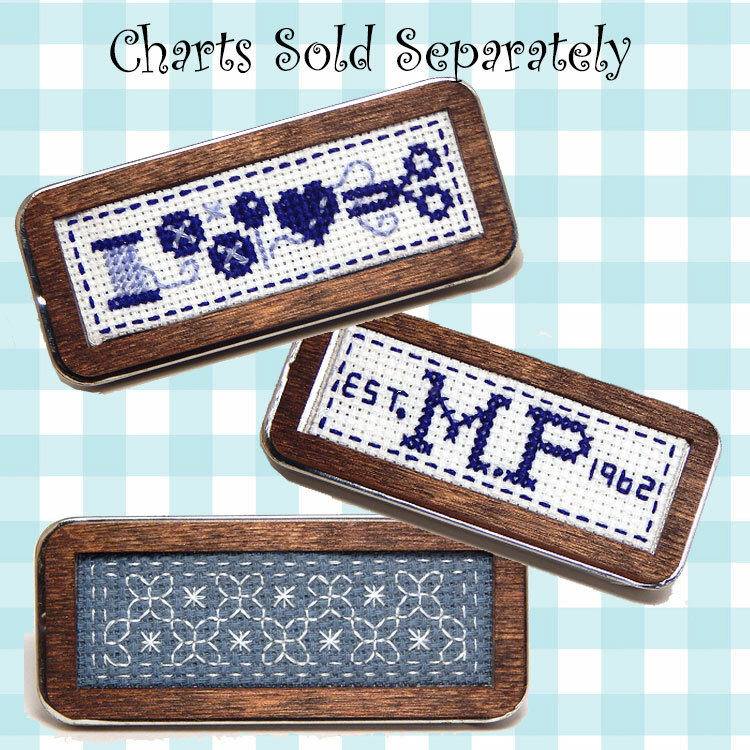 Unique floss holders, greeting cards, ornaments and wall art signs. However, the truly unique product that carries the shop's name is shower art. Ugly Baby Shower Art - Roller skating unicorn embroidery floss organizer. What is shower art. Read this. And this. You're going to want to put that on your resource list for gift giving ideas for the person that has everything. Recently, a big tutorial site posted a tutorial for a how to make shower art. When something so unique is invented, it's bound to be copied. The hope is it wouldn't be exactly like the original and a different take on it would be produced. In my opinion that tutorial failed doing that. However, the amazing couple behind Ugly Baby had a brilliant response to the tutorial. 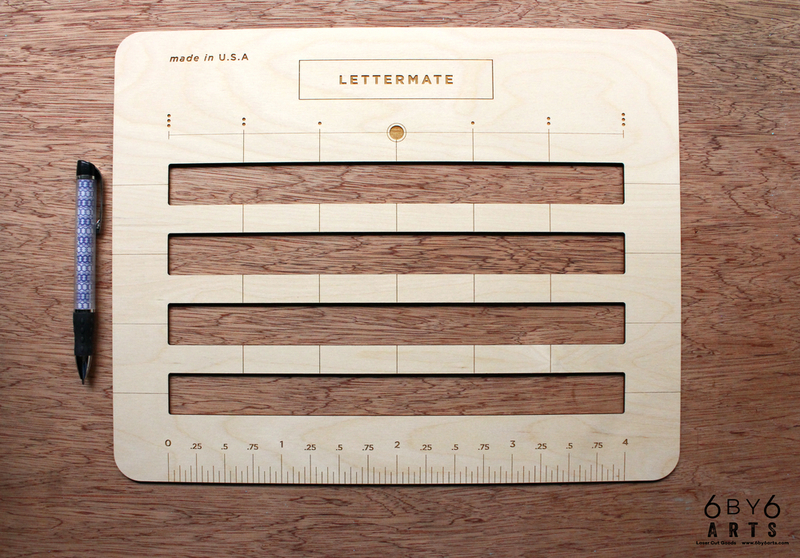 Many fellow makers have shared this and we'd like to do the same here. Recently we had a great opportunity to do some custom work for Stem a company based in Millbrae, California. Stem creates solutions that are changing the way energy is used and distributed. More about the amazing things they do are available to read here. Pretty fantastic. We were asked to create a large company sign for their corporate headquarter's office. They chose bamboo as their material of choice for the sign. The results were fantastic. We're tickled to see our work out in the wild. But this one is a little bit more special due to the company it was for.